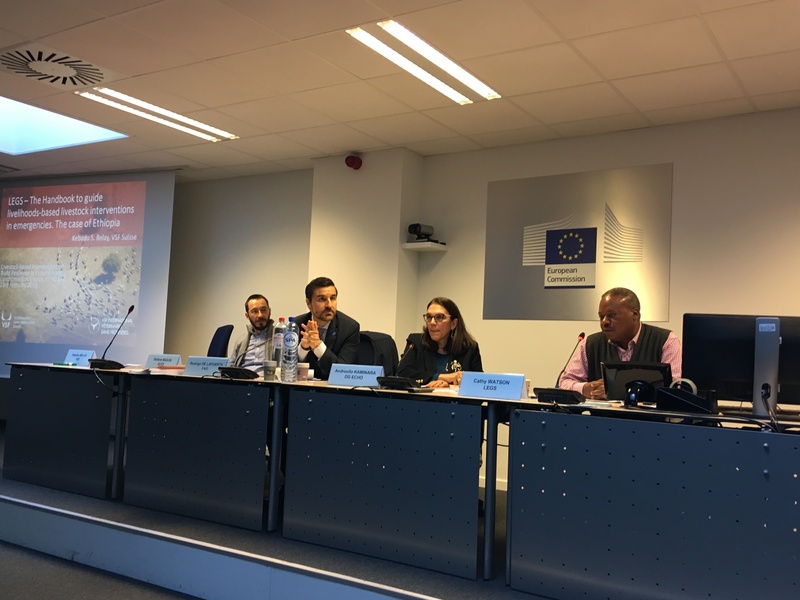 On 23rd February, VSF International, LEGS, ECHO and the FAO liaison office in Brussels organized a panel session on “Livestock-based Interventions to Build Resilience in Pastoral Areas”. 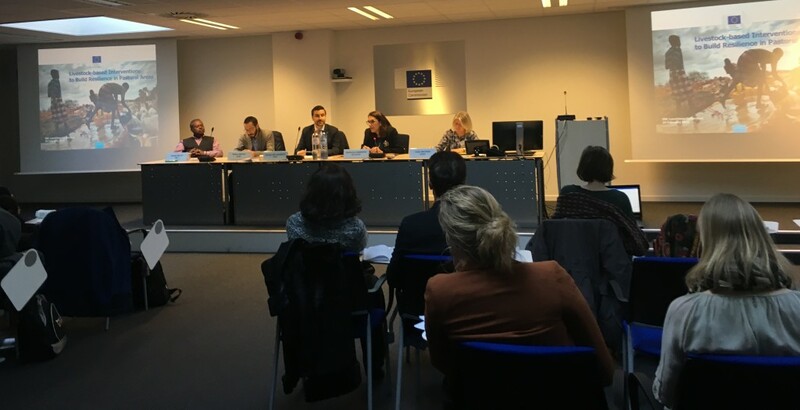 The panel session aimed at introducing the rationale behind livestock-based interventions in emergency and its linkages with a longer-term livelihood approach, giving an overview on the LEGS project (Livestock Emergency Guidelines and Standards), and presenting two case studies from Ethiopia and Mali. Androulla Kaminara – Head of ECHO Directorate for Africa, Asia, Latin America, Caribbean and Pacific – chaired the session, and in her introductory remarks she recalled how ECHO supported the establishment of the LEGS, with the view of enhancing response in emergency. 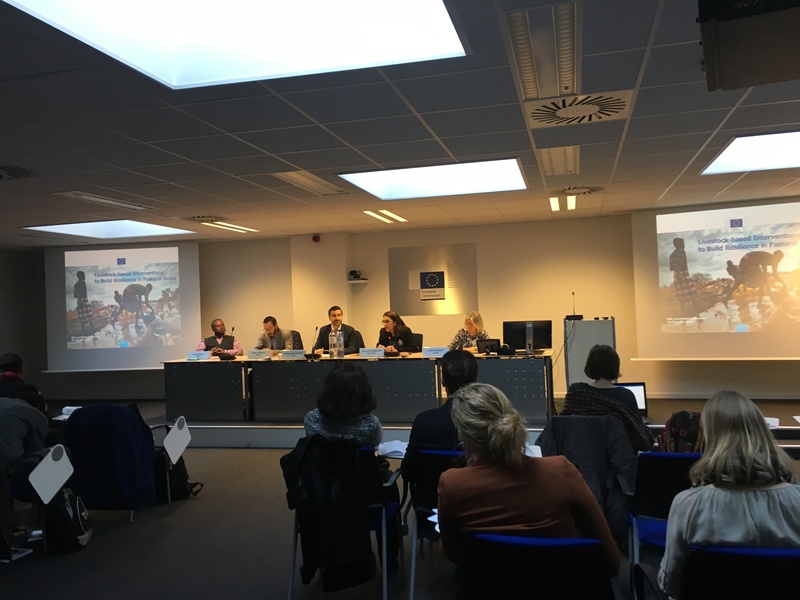 Ms Kaminara highlighted that food security and nutrition is at the center of humanitarian aid, and that the resilience approach is becoming more and more important on the political agenda as the common basis for a joint work of ECHO and DEVCO. 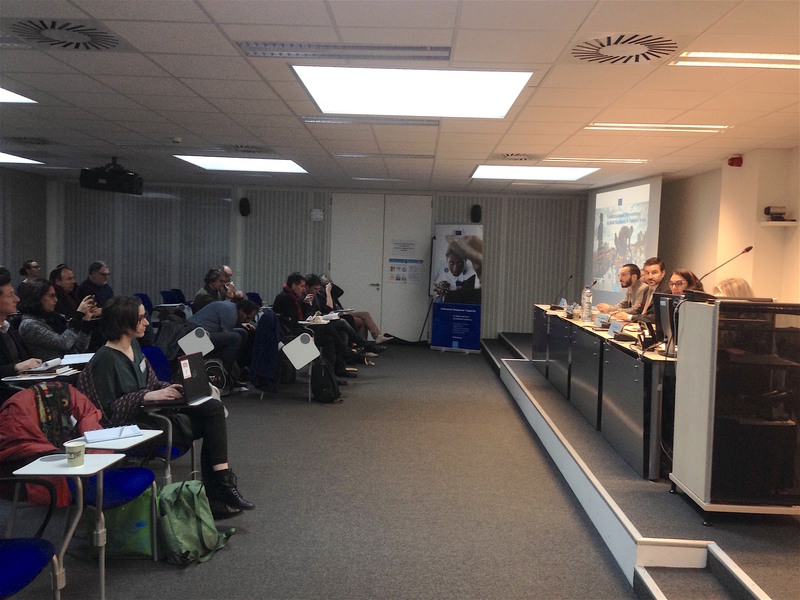 Rodrigo De Lapuerta (Director of FAO Liaison Office in Brussels), after presenting the contributions of livestock to poverty reduction and to food security and nutrition, recalled that according to the 2017 State of Food and Agriculture report, hunger is on the rise due to conflicts and climate change, and that in these contexts animal-sourced food has an essential role to play. 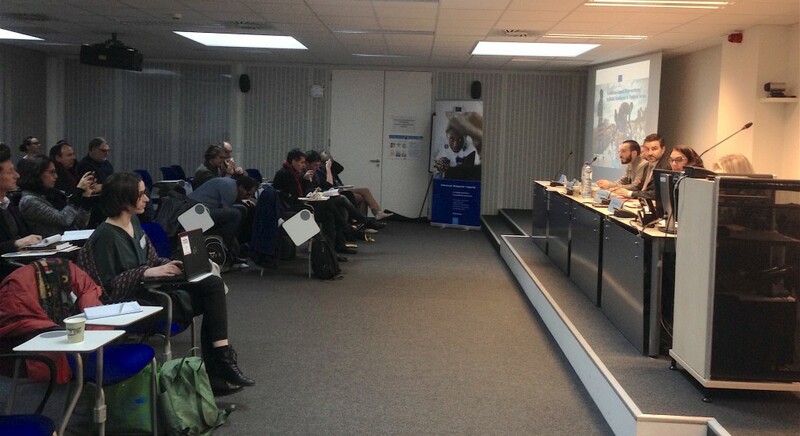 Mr De Lapuerta stressed the importance of LEGS in terms of guidelines and training, and acknowledged the key role of FAO’s partners in the field, including VSF, for LEGS implementation. According to Cathy Watson (LEGS Coordinator), LEGS was started in order to respond to a cycle of inappropriate and badly implemented livestock-based relief projects. LEGS, the formal companion to SPHERE, indeed helps identify the most appropriate livestock-related technical interventions in emergency, and to provide standards, actions and guidance to practitioners, governments, NGOs, etc. based on good practices. Ms Watson presented the structure of the LEGS handbooks and some of the tools offered, such as the Participatory Response Identification Matrix (PRIM), which supports the timely identification of appropriate and feasible interventions through participatory methodologies with the affected communities. Finally, she introduced different training activities performed by the LEGS projects, and announced the launch of a new on-line training module on LEGS and gender. The case of Ethiopia was presented by Dr. Kebadu Belay (Ethiopia Country Director for VSF Suisse), who gave an overview of livestock production in arid and semi-arid areas of the country. Ethiopia is increasingly under pressure due to stronger and more frequent droughts. But despite an increasing need in financial support for livestock-based interventions, this sub-sector is systematically underfunded. 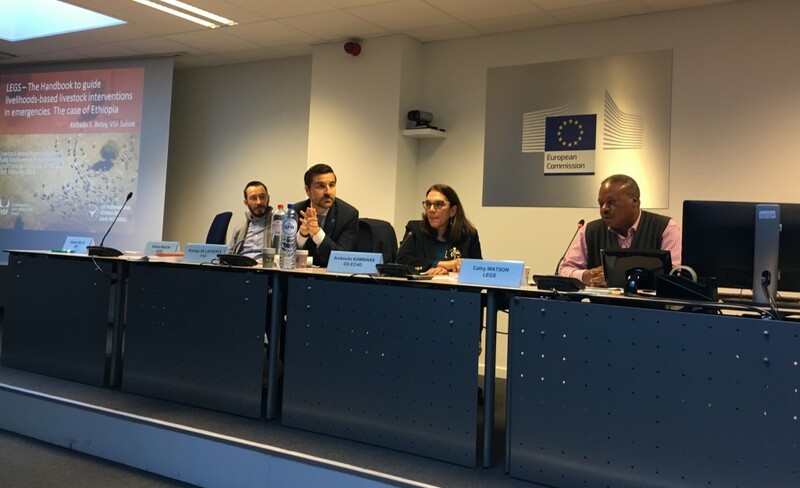 Dr. Belay also showcased a project of veterinary support in Ethiopia, based on a voucher scheme that don’t undermine local veterinary service and drug supply market. Finally, Stefano Mason (Livestock Expert with AVSF) presented the situation in Northern Mali, where the population – highly dependent on livestock and mobility – is confronted with harsh environmental conditions, scarcity of public services, presence in the market of counterfeit drugs, difficult access to water and pastures. Since humans and animals live in close proximity, there is a need to adopt a One Health approach, where livestock-based interventions are accompanied with interventions on human health, nutrition and education. The “Mixed Health Mobile Services” have been introduced in Northern Mali 12 years ago, and proved to be a cost efficient solution to provide adapted services to mobile pastoralists. 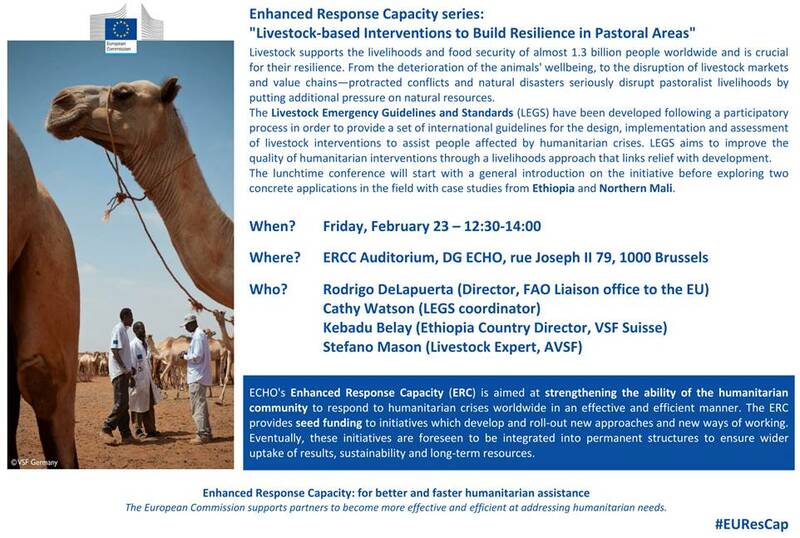 Both examples from Ethiopia and Mali showed that return on investments of livestock-based interventions in emergency is high, and have a positive impact on increasing the recovery capacity of affected populations. 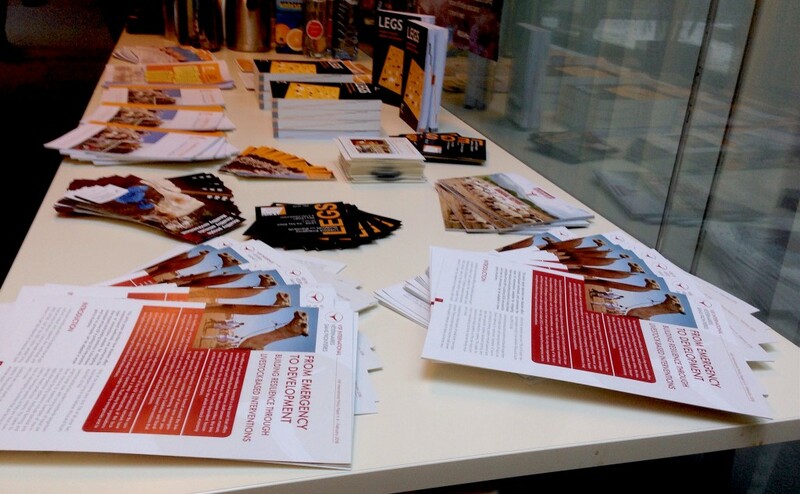 Although LEGS is mainly designed as a humanitarian tool, it is very useful also to improve preparedness to and prevention of crisis, linking in that way humanitarian aid with long-term development under a resilience-based livelihood approach.